On the edges of cosmopolitan Mexico City, sits a small community where most homes are made of cinder blocks or other makeshift materials. A young mother, Teresa, stands at her door—a tattered cloth that hangs over the opening of her home. A four-month-old baby sits on her hip, and a seven-year-old stands by her side. Shortly after giving birth to her newborn, Teresa learned that her seven-year-old son had cancer. The devastation of this news left her needing not only physical help to care for her children, but a deep desperation for community, hope and connection. Often times, we think of the needs of those in poverty as purely physical—deep hunger and irremediable sickness. But all too often we forget that we are all whole people who have a desperate need for healing in every area of life—physical, emotional and spiritual. This is why the Church—the body of Christ—has been called and equipped to be the most powerful force against poverty in the world. “The Church, this gathering of Christ-followers around the world, is God’s strategy to bring healing and restoration to His creation,” says Barry Slauenwhite, Compassion Canada’s President and CEO and author of Strategic Compassion. Centre Street Church in Calgary, Alberta, is just one of the vibrant churches across Canada that embraces the Church’s call to usher in Christ’s restoration. 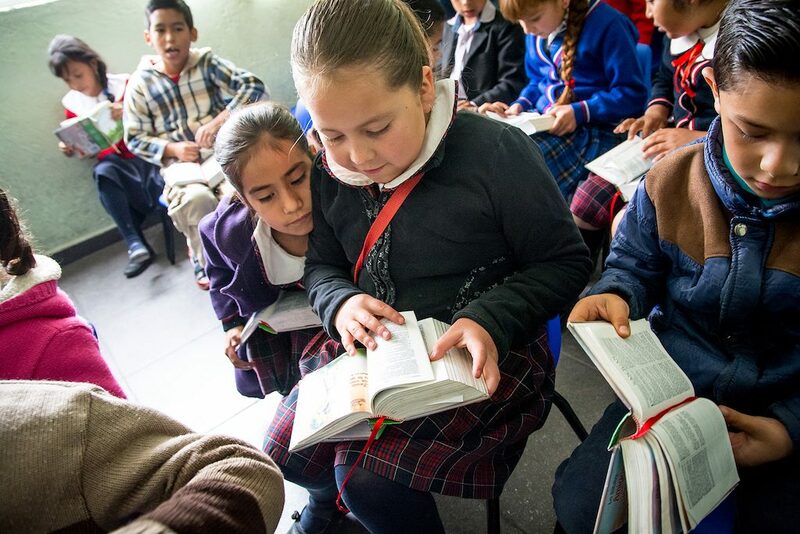 Not only are they deeply involved in the fabric of their local communities, but they partner with churches in other countries, including five Compassion church partners near Mexico City—sponsoring more than 500 children in Mexico. They also hold an annual concert to raise money to help moms like Teresa and their babies. 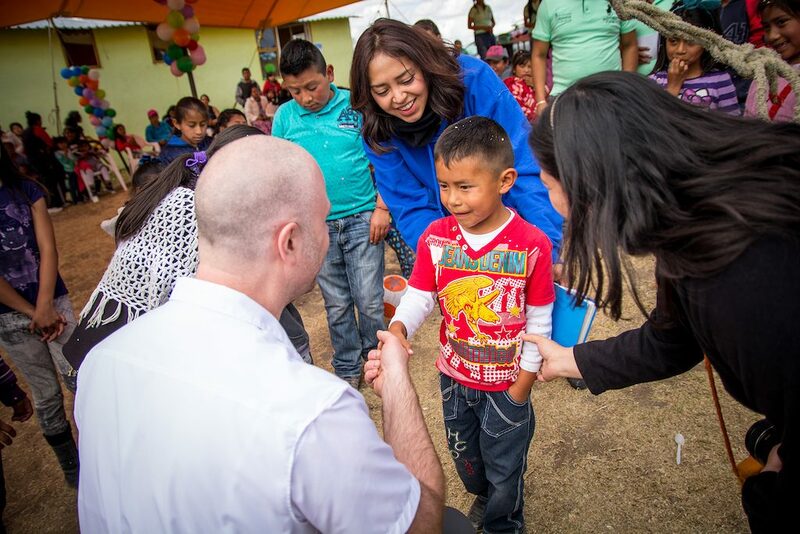 Members of Centre Street Church meet their sponsored children in Mexico. “We have come to firmly believe that the local church is the sustainable presence of Christ in the community,” says Dr. Brad Friesen, Pastor of Global Ministries at Centre Street Church. 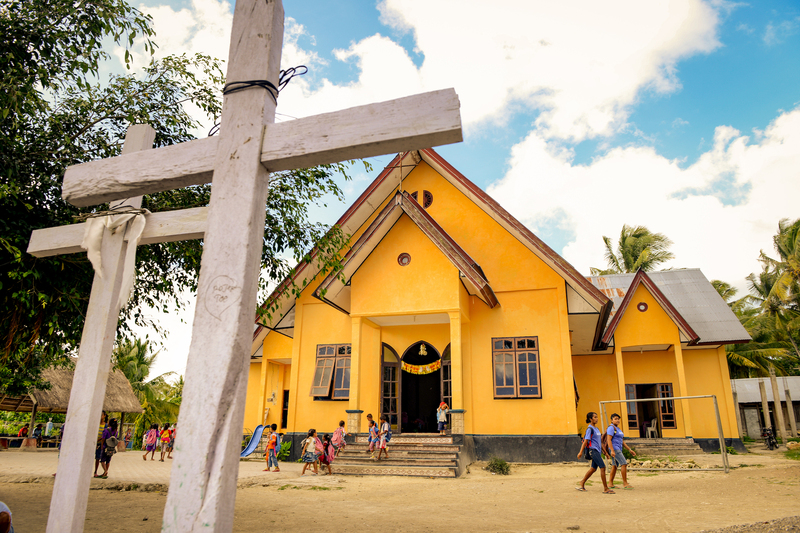 “Long after community development programs and people with great intentions leave those in poverty, it is the bride of Christ, the local church, which remains to represent the day-to-day gospel in real-time to those in and out of poverty,” says Friesen. Kim Singer, a member of Centre Street Church and sponsor of two children in Mexico, had the opportunity to visit the churches they partner with. She was struck by the deep love, care and commitment of the local church for their surrounding communities. Children are ministered to holistically at this church in Mexico thanks to the support of Centre Street Church in Calgary. One of those being reached is Teresa. Long after Singer left that small home in Mexico, the local church still remains present, walking alongside Teresa to ensure that her children are cared for, that she has consistent emotional support, and that she fully knows the hope she and her family can find in Jesus. This is a picture of the Church, existing as she was called—steadfast and pursuing. May our church families grow in the light of this boldness. The Church is God’s chosen instrument to bring healing to this world. 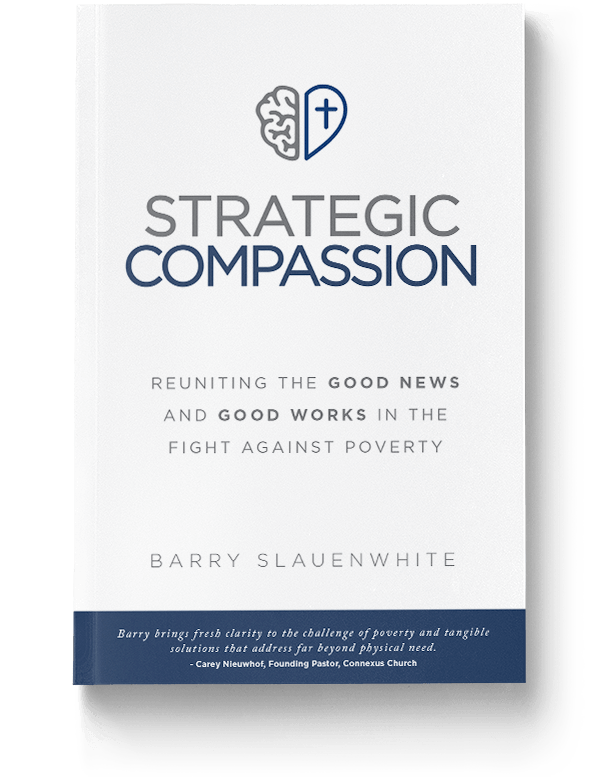 Barry Slauenwhite’s new book Strategic Compassion will inspire you in how we can reunite the good news and good works in our Kingdom work. Visit strategiccompassion.ca.